This weekend, Vision Vancouver declared its official kick-off of the 2011 civic election campaign. The party sent members a video of a speech by Gregor Robertson, in which he distinguished Vision from its “political opponents.” Election campaigns are in large part about strategically distinguishing oneself from opponents. In this sense, the campaign promises to be a fascinating one, given that the two parties capable of forming a majority agree on all core policy matters. The opponent to which Robertson refered is the NPA, which he called “highly negative, well-funded.” Both the NPA and Vision are well-funded, so the remaining distinction is that the NPA is ‘negative.’ That claim may seem unfair, given that the NPA isn’t any more negative about Vision Vancouver than vice versa. In the video, Gregor’s critique of the NPA’s negativity is in fact negative. For us the key term ‘negative’ should be replaced by ‘awkward’. The awkwardness stems from the fact that Vision has adopted the NPA’s policies and is, as a result, at a loss. When the NPA goes on the attack, too, they are found attacking their own policies. Worse, the NPA is now forced to use pseudo-progressive rhetoric when attacking Vision – rhetoric that Vision would have used in the past, but now is forced to reject. The whole game of false distinctions is awkward. Consider the Vancouver Sun‘s first of eight civic election briefings, also published over the weekend. In the first briefing, about affordable housing, Vision councilor Geoff Meggs discussed some of the implications of the housing crisis. Indeed, when The Mainlander met with Meggs for an in depth discussion last week, he emphasized the need for consensus around recognizing and prioritizing the housing crisis. Excellent. The question remains: what are Vision and the NPA going to do about it? Social housing and non-market housing is in a crisis situation. We have to find a way to produce non-market housing that attracts investors to buy into an ethical fund. Buy social housing condominiums just like we buy a studio and rent it out just like we buy into an ethical stock fund. This is actually something that our company is working on. We spoke with the city five years ago and we were too early and now we have to do it before we are too late. The model of private and public needs being met through development really is a win/win and we have to start getting creative in every city and municipality. But the real crisis is in affordability and this is where the politicians and planners need a huge wake-up call, or where the hell will our children live? More recently, the idea of tax-breaks for developers to ‘incentivize’ the renting-out of condos came to city hall during the NPA’s last term, through a report of the city Planning Commission under the directorship of present NPA candidate Mike Klassen. STIR became policy only against the backdrop of the 2008/9 financial crash, and the story is worth remembering. Developers couldn’t make their presales, and so in late 2008 began frantically phoning the City Planning Department and the Provincial Ministry of Housing to beg for tax-breaks for their units, in exchange for which the units would have a rental covenant on them. The Urban Development Institute even began holding workshops to teach condo developers how to build purpose-built rental. That spring, Vision brought developers and community activists together for a brainstorming session, in which the former group (which of course included Bob Rennie) dominated. STIR was the policy that resulted, approved promptly by Council. All of this became moot by the summer of 2009, because the development oligopoly had choked supply so forcefully that developers were now able to sell their remaining units. Developers didn’t need STIR anymore. 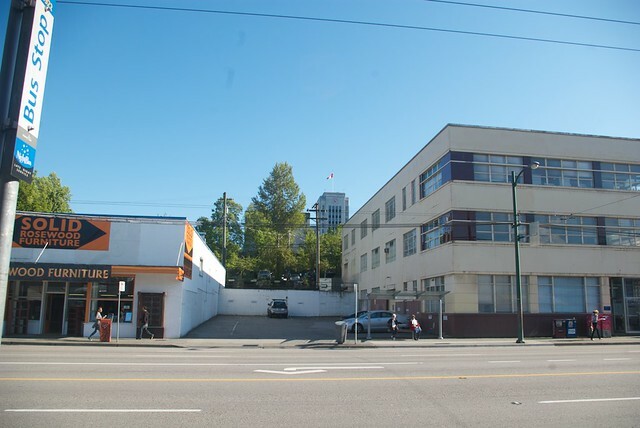 For example, Aquilini changed its mind about putting its Richards building through the STIR program. As a result, only about 1,000 units of rental will be created, all of them unaffordable, at the cost of tens of millions of foregone tax revenues. But for Anton the whole STIR program “is a fool’s game” and something an NPA dominated council would not repeat. “I completely disagree with it,” she said. “There’s a building at Bidwell and Davie which he [Robertson] gave $5 million in forgone fees back to the developer. And what did the city get for it? Forty-nine tiny units which will rent at top dollar. Anton said the only way to make housing more affordable is to increase the supply which the city could do by using available space in the Oakridge and East Fraser Lands areas and by allowing greater density along major transit corridors. As someone involved in the development business, you will be asked and expected to give a donation to the Vision party. What I would like you to carefully consider before you do that, is to take into account Vision’s support for activities taking place in the planning department that are horribly misguided. Attacking private property rights and effectively charging income taxes on the development community, when statutorily prohibited from doing so, is wrong. Strong arming money from people and then having them sign a “voluntary contribution agreement” is wrong. In other words, the NPA is currently collecting campaign contributions from developers, promising to exempt developers from all development taxes and contributions. So we cannot take Anton seriously when she complains about STIR-related tax-breaks. Coming back to Gregor’s election kick-off video, what are we to make of his comment that his “opposition” is “highly negative, well-funded”? Both parties are well-funded by developers, and both are highly negative of anyone who tries to break the deadlock of developer-council collusion. The truth of what is happening is this: by Vision placing a gag-order on the left-wing COPE, space is opened for Anton to campaign publicly to the left of Vision. Vision is forced to campaign on marginal programs like STIR that have no hope of cracking our housing crisis. Lastly and most importantly, by having Vision campaign on neoliberal policies, space is opened for the NPA to campaign privately even further to the right. Posted in Analysis, Election 2011, Housing, News, Uncategorized. Bookmark the permalink. Let no one forget that the ST of STIR stands for Short Term. If continuation of STIR is a Vision Vancouver campaign centerpiece, Vision is starting off by saying, “Vote for us because we lied.” Wow! Thanks for exposing the Vision — NPA Axis. None of the three major parties (and I’m including COPE’s self-truncated rump in that group) have addressed affordability for the middle class in Vancouver. There will always be some housing solutions for the poor perhaps not enough, but some), but it is those stuck between the poor and the rich foreign investors who are being driven out of this city.